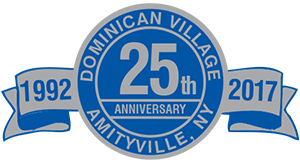 Hear about what The Dominican Village can do for you and your family, as a premier Long Island New York retirement community and assisted living residence. Dominican Village offers the highest standard of supportive living service and one of the most desired retirement communities in Long Island New York. Click play on the MP3 player's listed below and audio will play, you may alternately right click and save to your local desktop and then listen via your default audio player. Add your Email below and become part of the Dominican Village family.